It happens every year. I get crazy about fall. I love it’s colors, the gloomy weather, scented candles, chai lattes, the fall foliage and most of all – I love fall makeup. Red and orange hues. Dark berry lips. Gorgeous glowy skin. Messy smokey eye. 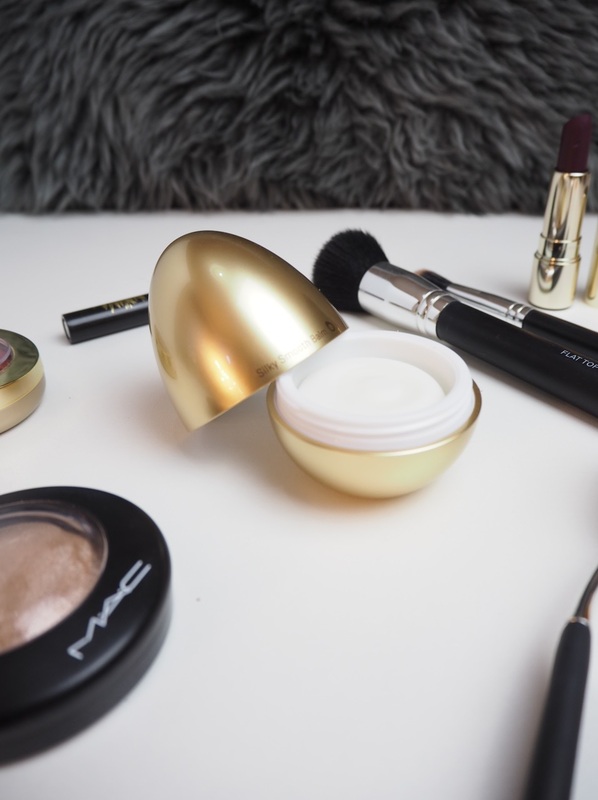 I’ve been bursting with excitement when it comes to makeup. I’ve taken all my dark lipsticks out and I’m suddenly feeling a need for more warm-toned palettes. 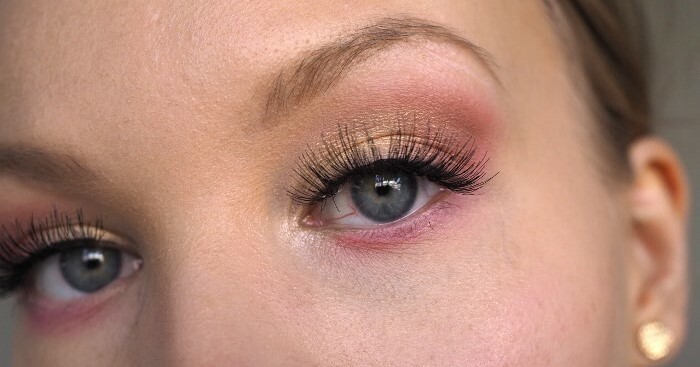 I felt very inspired to do a fall-inspired makeup look and here’s what I came up with. Warm eye makeup with orange shimmer on the lid, lots of black liner, burgundy lips and a full-coverage foundation with lots of highlight. Oh, and a lot of blush. I guess it feels refreshing to wear lots of makeup after wearing minimal makeup throughout the summer, haha. 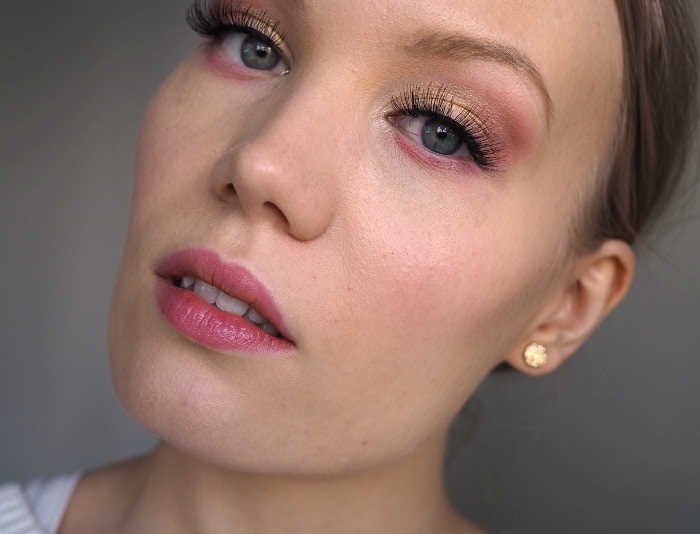 Besides sharing this look I also wanted to tell you about the products I used. There are some old favorites here, some that I recently started to use again, and also a brand new product that I’m trying out. I got this primer from the launch event that I attended last week. I think Tony Moly has the cutest packaging! 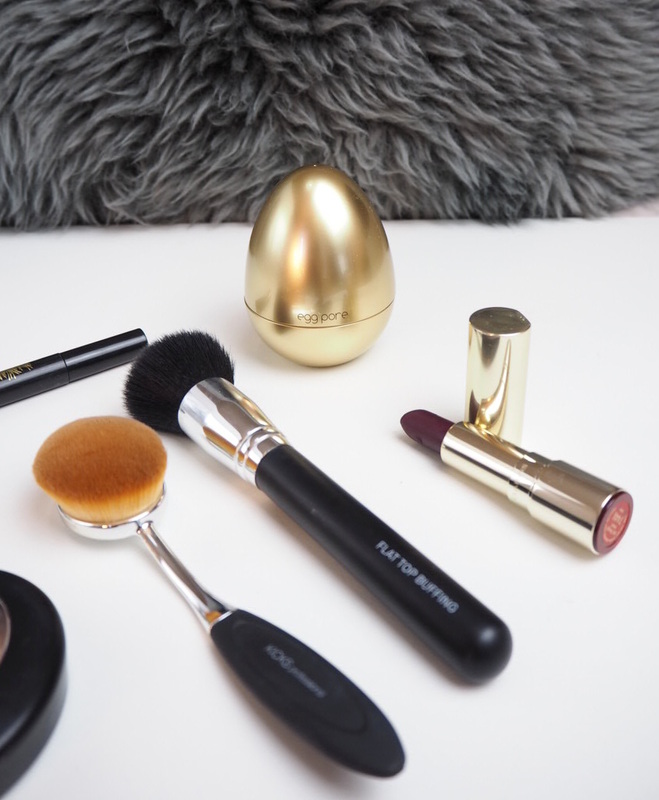 This golden egg is actually surprisingly beautiful as well. I’ve only tried it a few times, but it feels nice. It has a delicious scent and it feels very smooth on my skin. The primer is silicone-based, so it’s great for smoothing out the skin and hiding pores. I used to wear these kinds of primers all the time. Nowadays I rarely wear any primer. Let’s see if this primer changes my makeup game. I’ve been using KICKS’ brushes for quite some time now. I think their quality and price point is great. My favorite brush from them is the highlighting brush. It’s the perfect size, it’s soft and not too dense and it makes highlighting easy. 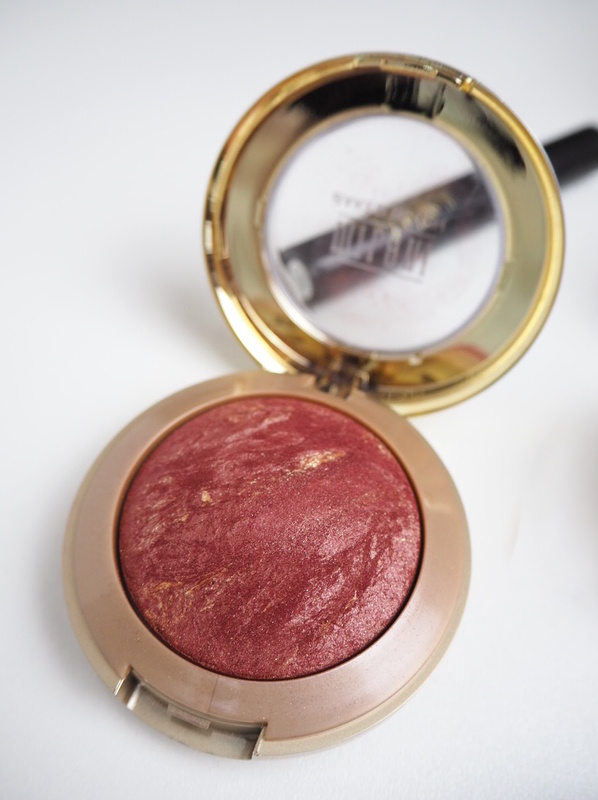 I’ll admit: I mainly bought this blush, because it’s gorgeous and I wanted a deep red blush. In reality though, this is very very pigmented so you need to be careful when applying it. A fact that I forgot when I was doing this makeup look. Luckily, blush overdose is easy to fix. Just apply some powder on top of it and blend like crazy. When I’m more careful with applying this and just take the tiniest amount, it works just fine. And looks more pink than red on my skin. I love Milani’s Baked Blushes and I have another shade of it as well (a color more suitable for every day looks). The blushes are beautiful, they have good pigment, they are easy to blend and they’re affordable. A beautiful, gorgeous highlight. It’s quite finely milled and not too glittery. I love this product. I use this all the time in my eye makeup as well. A mascara, that I got from my advent calendar last year. I only opened this recently and fell in love with it. It gives a nice volume to my lashes, but doesn’t make them too heavy. A beautiful shade for Fall. I wrote a review on these here. I find that dark lipstick shades are tricky to apply. Every single dark lipstick I own is a bit tricky. 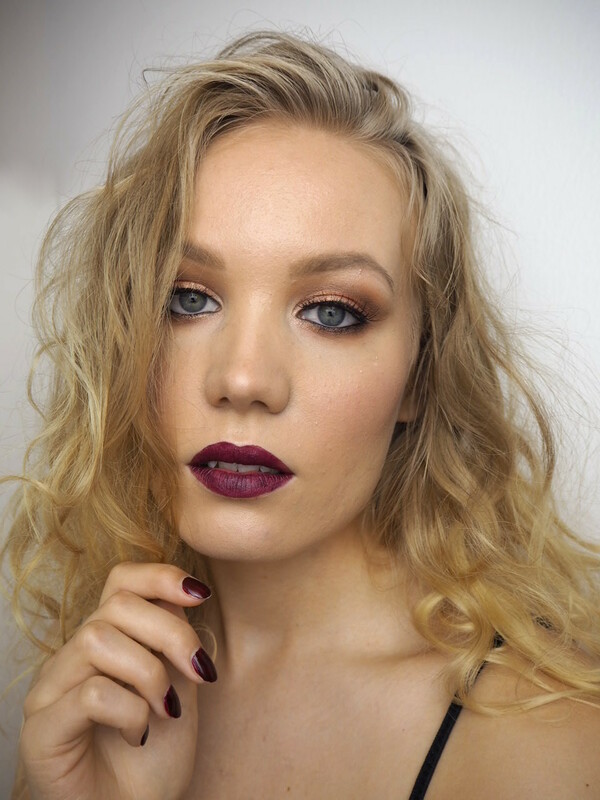 Let me know in the comments if you know a good dark lipstick, that is easy to apply evenly and smoothly. 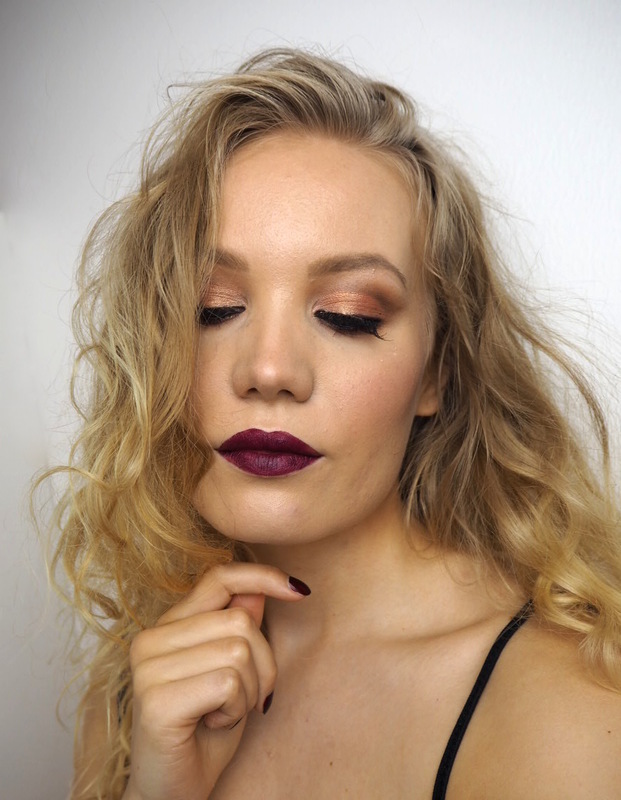 Are you as inspired by fall and fall makeup, as me?